Eureka! 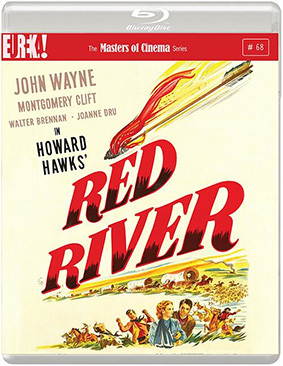 Entertainment have announced first UK Blu-ray appearance of the iconic classic Red River (1948). Voted the fifth greatest western of all time by the American Film Institute in June 2008, Red River was directed by the legendary Howard Hawks, one of the most influential American directors of all time, and stars John Wayne and Montgomery Clift in his debut film. Red Rver makes its UK Blu-ray debut on 28th October 2013 by Eureka! as part of the Masters of Cinema series at the RRP of £19.99.